Thank you for visiting our website. 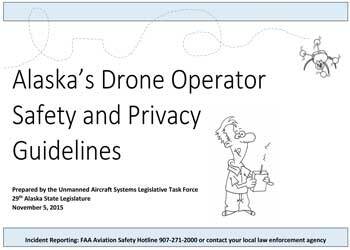 It is a public education resource provided by Alaska’s Unmanned Aircraft Systems Legislative Task Force (UASLTF) to raise public awareness of the laws applicable to sUAS. 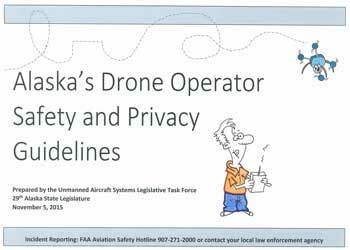 Alaska’s Drone Operator Safety and Privacy Guidelines. 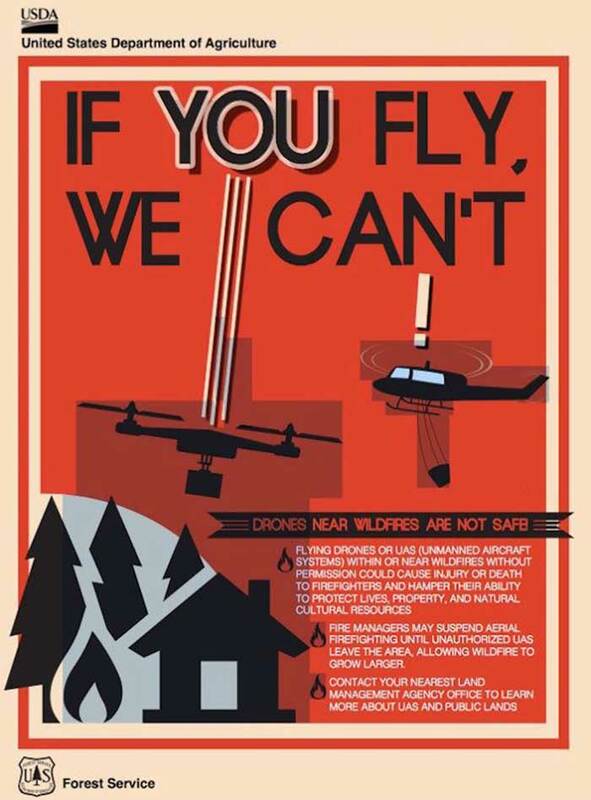 Harry Kieling, of Alaska Public Media’s show ‘Hanger Flying’ and the Alaska Aviation Safety Foundation, interviews Rep. Shelley Hughes about drone safety and privacy regulations. 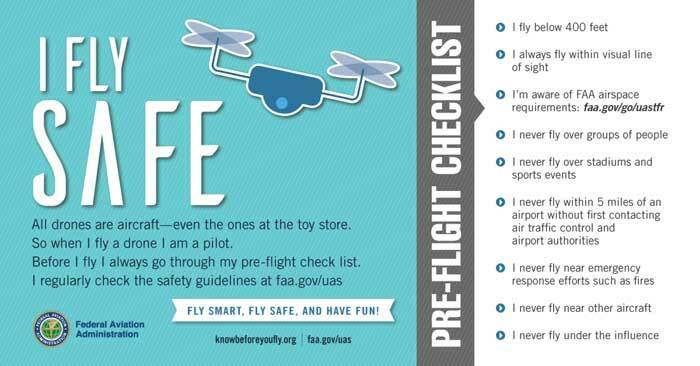 The Unmanned Aircraft Systems Legislative Task Force encourages prospective drone operators to review the following important safety sheet to know where you are authorized to fly, for what purposes, and other safety guidelines. This sheet is also for drone vendors, drone purchasers, drone owners, and others to make available to those who may or will be flying UAS/drones. Alaska “Know Before You Fly” Safety Guidelines. Contact the FAA to determine if your operations fall under FAA’s recreational or commercial rules.